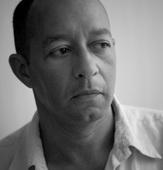 Carl Phillips is the author of twelve books, including Silverchest, forthcoming in 2013, and Double Shadow (2011), which won the Los Angeles Times Book Prize. He has also translated Sophocles's Philoctetes and has written a book of prose, Coin of the Realm: Essays on the Life and Art of Poetry. Other honors include the Kingsley Tufts Poetry Award, the Lambda Literary Award, and awards and fellowships from the American Academy of Arts and Letters, the Guggenheim Foundation, the Library of Congress, and the Academy of American Poets, to which he was named a Chancellor in 2006. Phillips teaches at Washington University in St. Louis.